Rent a dumpster for your home project. Get roll off containers for any job site. Find bins to keep your business clean. At Dumpsters.com, we’re dedicated to providing outstanding customer service you wouldn’t expect from a trash collection company. If you’re a homeowner or contractor with a big project, we’ll take the time to understand the details and find the best temporary dumpster rental for your needs. Own a business or manage a property? We’ll tailor our commercial garbage service to your waste stream. From placing your order to pick up, our straight-forward rental process saves you time so you can focus on the real work. We're here to solve your waste removal problems. Find your solution below or give us a quick call to talk to someone from our team. Don't see what you're working on? No worries - chances are, we've still got you covered. Explore other options. 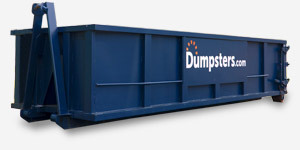 Our temporary and permanent dumpsters can handle all kinds of waste streams. Whether you’re cleaning up after a one-time project or need ongoing commercial trash collection, we’ve got a container for the job. Our flat rate prices are based on several factors, including the size of your dumpster and the type of debris you’re throwing out. But the most important pricing factor is your location. We deliver trash dumpsters in over 200 cities nationwide. Find your city below to see pricing in your area or check out our complete list of service areas. Read our start-to-finish guide for a complete walk-through of the rental process. Estimate how much your debris weighs to choose the best dumpster size. Find helpful advice for sprucing things up and working smarter—whether you’re a DIYer, contractor or business owner. What Do Our Customers Think of Our Dumpster Service? "We had the pleasure of working with Dumpsters.com for our recent Rock the Block event. Rock the Block is a one-day neighborhood clean-up event, where worked on 16 exterior home repair and maintenance projects, as well as completed 50 blocks of street clean-up. 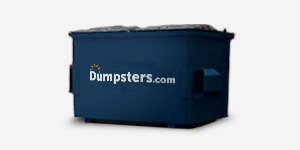 Working with Dumpsters.com was a breath of fresh air – the customer service was first class. In addition to generously donating 2 dumpsters for our event, they went above and beyond to make sure our needs were met. Communication is crucial in ensuring this event goes smoothly and they handled our needs with the utmost professionalism. Thank you Dumpsters.com!" "Very helpful over the phone, delivered as promised, picked up timely. Drivers very polite and friendly. Will recommend and use again." "Super easy to rent! Not so easy to fill! But easy pickup too. This experience was fast, simple and you guys were WAY cheaper than the three other companies I called for quotes. Thank you!" "Make sure you order the right size. The people there are there to help you get the right size. Kind and courteous." Sign up today and become a proud partner of Dumpsters.com. Apply today for a rewarding career at our fast-growing company.